The book is tremendous. A near future, post-apocalyptic relationship book that treads lightly in the world of science fiction and a future disturbingly reminiscent of the present and disturbing of its own right too, while delving deeply into the trenches of our most intimate relationships—with our siblings, our partners, and ultimately ourselves. Her writing is brave and intelligent. The characters are interesting and fresh. The story is well crafted. And it’s all surprising, strange, and wonderful. When Edan was a kid, she and I were like Ryan and Tatum O’Neal as Mose and Addie in the movie PAPER MOON: on one crazy adventure after another. I, like the character Mose, am devilishly handsome and silver-tongued, and I can beat a large hillbilly in a fair fight. Edan is like Addie because she’s direct and clever, and she’d often separate me from unworthy girlfriends. By the time she was in the 4th grade Edan was praised and singled out for her writing. I told her years ago to put me down for 10,000 copies of her first novel. Now, I have uttered many bon mots and advice over the years, which Edan doesn’t remember. However, this promise (along with: “Madonna is a flash in the pan”) she recalls as if it were yesterday. I must keep my word and sell, sell, sell. 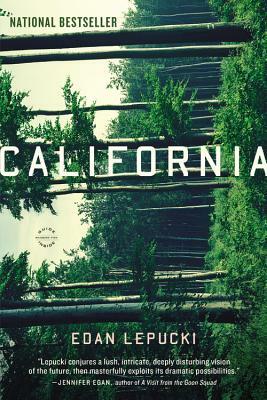 Lucky for me, Edan’s first novel, California, is terrific. Readers far more astute than I—Pulitzer Prize winner Jennifer Egan, to name just one of many—have already called it brilliant, stunning, and original. I agree—it’s a fantastic read. So help a dad out, and buy a copy or TWO of this debut novel. Ring a bell for proud parents everywhere…and enjoy a riveting and smart novel.